Allowing you to rip the amount of tape that you want without any difficulty, easy tear tape is perfect for hassle free use. Without requiring scissors, you can reduce the time that you take taping items, making work far more efficient. 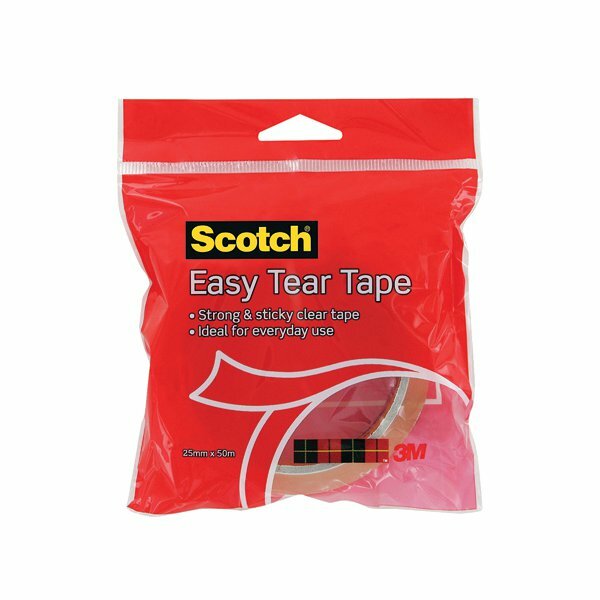 Scotch is a well known brand for creating tape and this has come about because they have products that will stay stuck for longer. The tape does not leave gummy residue behind once you remove it, ensuring that all surfaces are clean and clear.